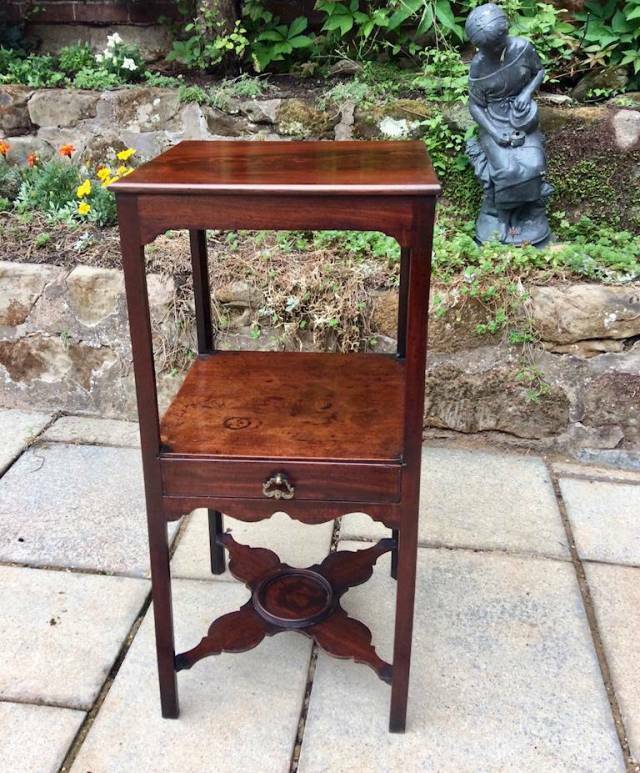 A very pretty 3 tiered square washstand. Ideal for a bedside table. There is an oak lined drawer wth a pretty handle and an attractively shaped apron to the central tier.